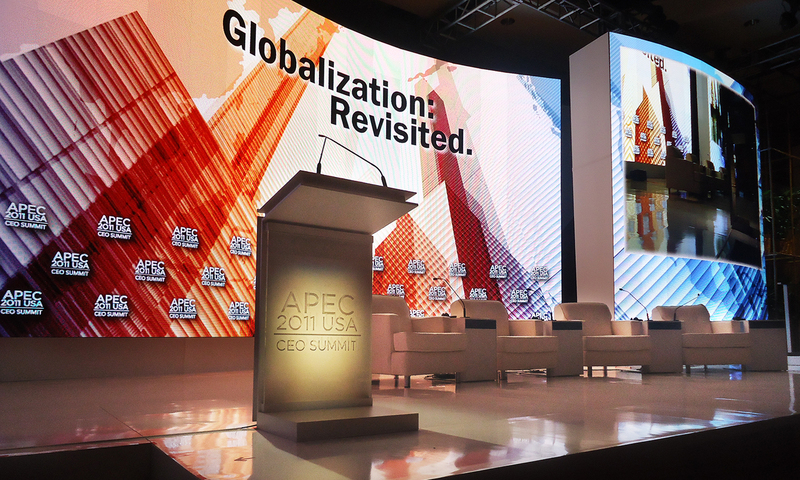 The Asia-Pacific Economic Cooperation [APEC] forum is the premier economic organization in the Asia-Pacific region, fostering growth and prosperity by facilitating economic cooperation and expanding trade throughout the region. 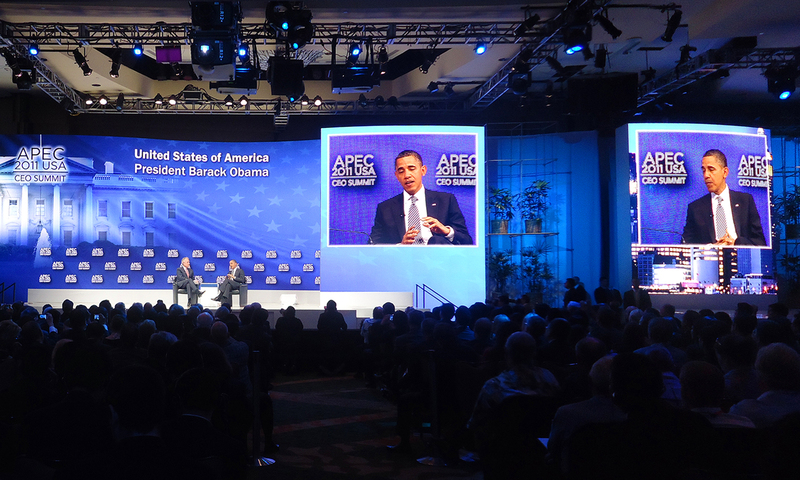 The Honolulu conference was hosted by President Barack Obama and First Lady Michelle Obama. 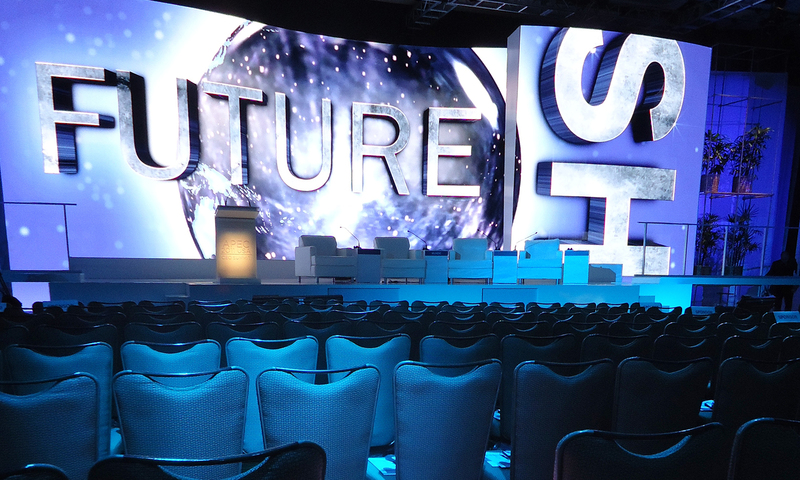 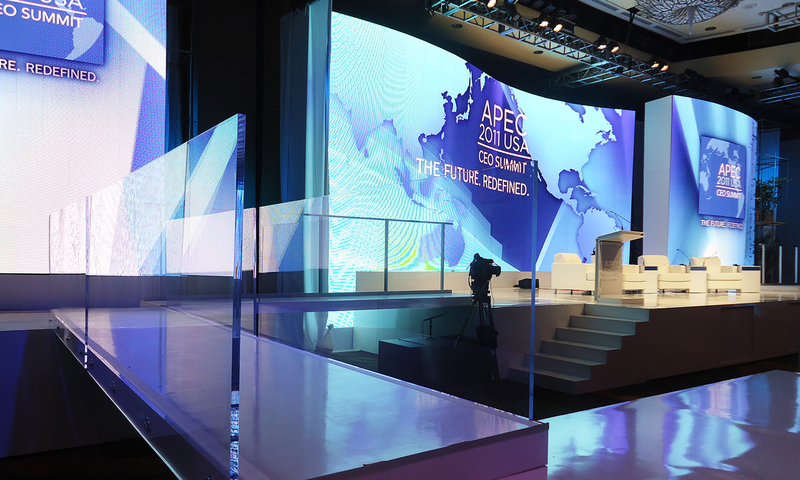 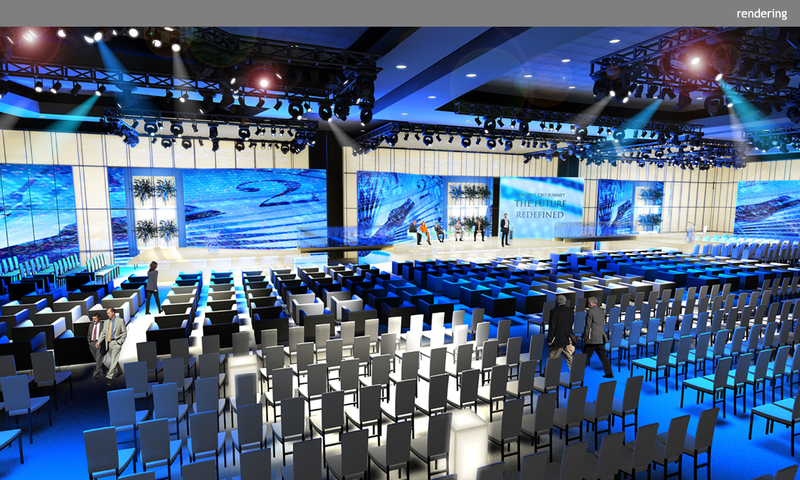 Clickspring designed the main plenary — featuring expansive curvilinear LED walls interspersed with Hawaii-native koa trees — and break-out session spaces for the summit.